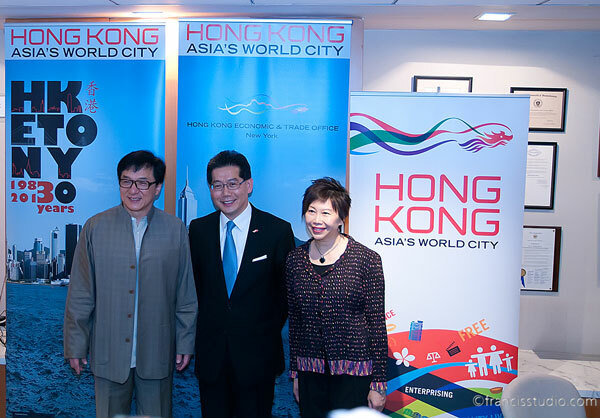 The Star Asia Lifetime Achievement Award typically is given out during the New York Asian Film Festival (NYAFF). But when the recipient is someone who literally created a new comedy-fu genre of Hong Kong cinema, he must be feted with his own separate retrospective and series of appearances. 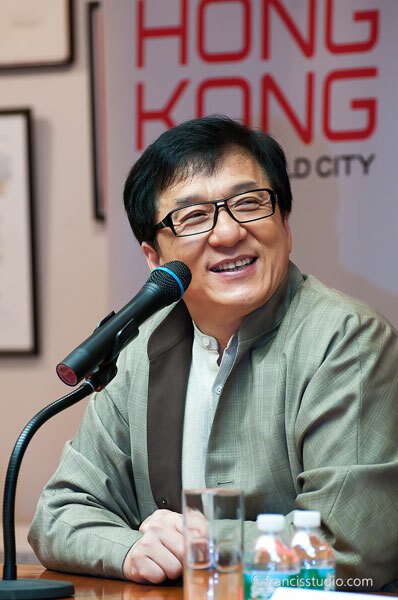 So was the case with Jackie Chan, who swept through two screenings, two question-and-answer sessions and a short press conference in three different venues on June 10 and 11. 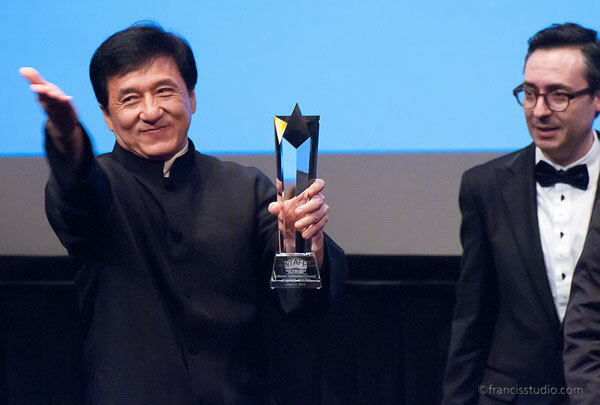 At his Lincoln Center appearance for “Chinese Zodiac” – the screening sold out in a mere 20 minutes – NYAFF organizers Subway Cinema presented Chan with his award. 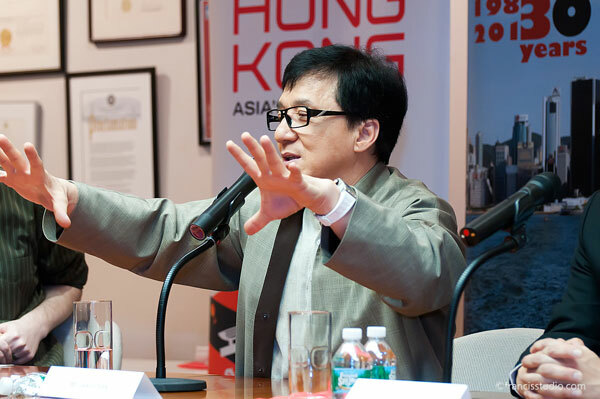 The following day, Chan appeared at a press conference hosted by the Hong Kong Economic Trade Office in New York, a longtime supporter of the NYAFF. Even in front of a smaller audience, his presence made no less of an impact. Chan completed his New York tour with a showing at his screening of “Drunken Master 2” at the Asia Society later that evening. Special thanks to Alice Chin and Tienny Francis Latif for contributing to this report. 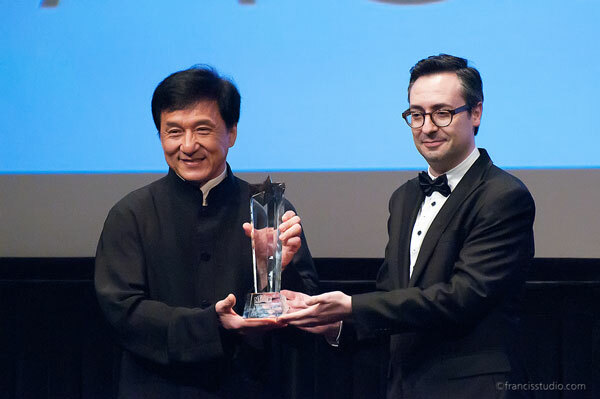 The Jackie Chan Experience retrospective takes place at the Film Society at Lincoln Center from June 23 to 27. Tickets can be purchased at filmlinc.com.